Apple Cider Vinegar for Calcium Absorption? In this latest video, Lara talks about low stomach acid and whether or not apple cider vinegar will help with your calcium absorption. Watch the video below and let us know what you think in the comments. Unfortunately, cider vinegar, although it has other beneficial effects for you is not an effective means for increasing your stomach acid. First, let me explain why you need stomach acid and why you may not be producing enough stomach acid for your optimal health. Then, we will discuss recommendations for you to increase your stomach acid production if you need to. It’s very important for all of us to be producing some stomach acid when we take calcium. This is the reason it’s best to take your calcium supplement with meals because you should naturally be secreting some hydrochloric acid then. It’s what our bodies are preprogrammed to do in response to consuming food. Infection of H.Pylori: Infection with a bacterium called Helicobacter pylori this is the bacterium that promotes ulcers. H. pylori makes it very hard for us to absorb not just our calcium but all the nutrients in the foods we eat. Particularly vitamin B12 which is an extremely important nutrient for bone health. Over-The-Counter or Acid-Blocking Drugs: Acid blocking drugs that are taken to relieve symptoms of heartburn or indigestion of gastroesophageal reflux or GERD, like the H2 blockers which are Zantac, Pepcid or proton pump inhibitors such as Nexium or Prilosec. So if you’re taking any acid-suppressing drugs, which are very effective in suppressing or preventing you from secreting or even producing any stomach acid, your likelihood of not having enough stomach acid around to absorb the calcium from your food or supplements is unfortunately quite high. They are also associated with hip fracture! Read more on my post: Drugs That Cause Osteoporosis. 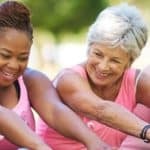 Age: By the time both men and women reach age 60, about half of us no longer make enough stomach acid to optimally digest our food and that includes releasing the calcium that we consume through our food and supplements through its delivery partners or the food matrix and then solubilizing it. Food Allergies: Especially to wheat or dairy products. After-Effects of Some Viral Illnesses: After a bad flu, your stomach acid is going to go down a bit, just for a while and then it should recover. Why Do We Need Stomach Acid? It’s very important for all of us to be producing some stomach acid when we take calcium. This is the reason it’s best to take your calcium supplement with meals because you should naturally be secreting some hydrochloric acid then. It’s what our bodies are preprogrammed to do in response to consuming food. 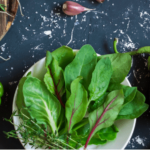 In numerous studies 30% to as many as 50% of postmenopausal women have been found to be deficient in stomach acid, it’s quite common. And people with low stomach acid absorb only about 4% of an oral dose of calcium. Therefore, the above causes can be damaging to your bones and overall health. So what you want to do is provide your stomach with the additional stomach acid that you’re not secreting but that you need. Cider vinegar is great for you for other reasons, but it is unlikely to help you absorb your calcium. It is true that vinegar is acidic, but it is not an effective agent of increasing your production of stomach acid. Apple cider vinegar contains acetic acid, a very weak acid which does not aid in the body absorbing minerals, such as calcium. However, if you consume apple cider vinegar in a salad dressing with a nice big salad of leafy greens then your body will naturally produce stomach acid in response to your consumption of food. The hydrochloric acid (HCl) in your stomach acid will help you liberate calcium from the food matrix and solubilize it, making it available for absorption. HCl is the acid that a healthy stomach secretes in response to eating food. HCl is a strong acid, strong enough to break apart our food, releasing its proteins, fats and carbohydrates. Plus, liberating the amino acids, vitamins, minerals, and fats, like the omega-3 fatty acids, our bodies need from the food matrix. Unfortunately, as we age, our ability to produce stomach acid declines. When this happens, our food does not get properly digested in the stomach and passes into the small intestine where it becomes food for bacteria there, some of which are not friendly. Their metabolism of our poorly digested food causes the very same symptoms associated with acid reflux — indigestion, burping, bloating, and flatulence. And what do we all too often do? Pop an antacid, making matters worse. HCl is key, not only in releasing the calcium from food, but in separating the calcium in supplements from its stabilizing partner, e.g., carbonate, gluconate, lactate, etc., and solubilizing it, so it is available for absorption — with the help of vitamin D.
Reduces the glucose response which is the rise in blood sugar that follows the consumption of carbohydrates, both in healthy adults and in individuals with diabetes so it’s quite helpful for us. 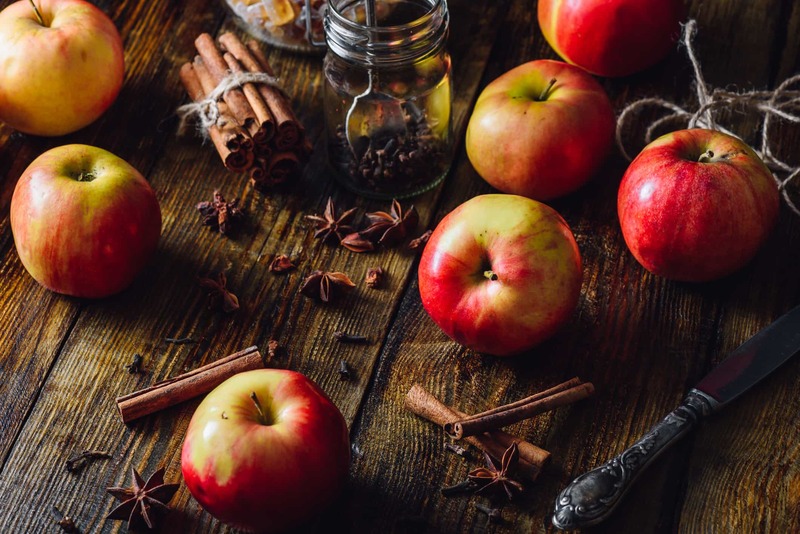 And cider vinegar has also been shown to lower the glycemic index of starchy foods, so it makes them less likely to cause a spike in blood sugar levels. There’s also some evidence that vinegar increases the short term feeling of satiety or feeling of fullness so we eat a bit less when vinegar is part of our meal. All great reasons to include cider vinegar in what you consume. But vinegar does not help you increase stomach acid production nor is it going to help you digest your food. For that, you need stomach acid. Want more in-depth info on the benefits and side effects of apple cider vinegar? Check out my latest post: How to Naturally Combat Acid Reflux (GERD). And the best way to do that is to supplement. You can get a supplement of hydrochloric acid with betaine. And this will be much more effective for you. You begin by taking just one tablet or capsule containing 600 mg of hydrochloric acid at your next meal. If this does not aggravate your symptoms then at every subsequent meal of the same size as the first one, you take one more tablet or capsule. One at the next meal, two at the next meal after that and 3 at the next meal and so on. *When you take several tablets or capsules, don’t take them all at once, space them out throughout your meal. Just as your body would normally be producing the hydrochloric acid for you throughout your meal you want to space out your supplemental hydrochloric acid. You can continue to increase the dose until you reach 7 tablets or you experience a feeling of warmth in your stomach, whichever occurs first. A warm feeling in your stomach means you’ve taken too many tablets for that meal and you need to take one less tablet for a meal that size. It’s a good idea, however, to try the larger dose again at another meal just to make sure that the hydrochloric acid was what caused the warmth and not something else. After you’ve found the largest dose you can take at your large meals without feeling any stomach warmth, then you want to maintain a dose of the similar size and you’ll need to take less at smaller meals. As your stomach’s parietal cells heal, these are your cells in the lining of our stomachs that secrete hydrochloric acid for us and they will begin to regain the ability to produce hydrochloric acid you need to properly digest your food, you will probably notice that warm feeling again and you can cut down on how much hydrochloric acid you’re taking with a meal. Eventually, you may find that you may not need any supplemental hydrochloric acid but it may continue to be helpful for you especially with a larger meal. Since I mentioned our ability to secrete hydrochloric acid does decrease a bit as we age. What’s going on here is the vinegar is acidic, so it’s helping to disassociate calcium from its salt partner. That’s what normal digestion already does via our stomach cells production of hydrochloric acid for humans, and is one of the reasons why acid-blocker drugs are so bad for our bones. It’s quite common for our ability to produce stomach acid to lessen after age 50, and loss of HCL causes the same symptoms as too much acid, so people make the problem worse by taking acid-blockers! The way to deal with this is not to take vinegar (which can dissolve tooth enamel when undiluted in the mouth) but to ideally, have your HCL production checked, and if needed, to take supplemental HCL with meals. (HCL instructions above) It’s safe and easy to do this without testing and taking HCL will reveal whether or not it is needed. However, the key point here is that vinegar is nowhere near as effective as our very own HCL in breaking down the food matrix to liberate the calcium in a food OR in disassociating calcium from its salt in a supplement. Vinegar is Bambi; HCL is the Hulk. HCL is also what protects us against pathogenic bacteria in our food and water – it kills it. Plus, it is required to activate intrinsic factor, without which we cannot absorb B12. Vinegar is not going to do either. Pounder RE, Ng D. The prevalence of Helicobacter pylori infection in different countries. Aliment Pharmacol Ther. 1995;9 Suppl 2:33-9. PMID: 8547526. Radebold, Klaus. “Achlorhydria.” eMedicine. Eds. David Greenwald, et al. 11 Jul. 2002. Medscape. 20 Dec. 2004 <http://emedicine.com/med/topic18.htm>. I forgot to ask.. is hydrochloric acid better than lemon acid.. and can any type of acid help digestion even like the phosphoric acid that’s in soda pop? Vinegar is acidic, yet it does not help increase calcium absorption. As per Lara’s video and post, she recommends Hydrochloric acid with betaine, which will be much more effective for you. @Mike.. I’ve heard from many sources that pomegranate juice can literally dissolve plaque from the arteries. @Dr. Lara Pizzorno.. Great Information.. Thank You for sharing, very very helpful. A tangential question: I’m 68 and been told that calcium is building up on my aortic valve and will eventually have to be operated on. I’m taking non-soy based Vitamin K, MK 7. I had a hip replaced and after researching med journals I found an article that mentioned a spike in aortic/calcium build up had been noted in their research after hip replacement. It had something to do with ‘free’ calcium looking for a place to land. With less bone, due to surgery, it seemed to ‘find’ the aortic valve since normal aging predisposes this build up. I’m a layman, so forgive the lack of medical precision. Can you shed any light on this and/or on the use of ACV and calcium? Thanks. One more point – “normal” aging does not = calcification of our arteries! This occurs because we are not supplying our bodies with the nutrients required for healthy utilization of calcium (and also not absorbing even the nutrients we are supplying — in part because our digestion becomes dysfunctional because of SAD (standard American diet) and commonly used medications), and are consuming LOTS of toxins that disrupt metabolism and organ function. You do NOT have to accept this as a “normal” part of aging!